November 23, 2018 Pitulak Aswakul, M.D. If someone is suffering from fatty liver disease – meaning that fat has accumulated within the liver cells over an extended period of time – it can cause inflammation of the liver. The easiest thing to do is to make lifestyle adjustments to control your weight, for example, by exercising regularly and regulating your diet. During this modern digital age, we must be prepared to accept that things can change rapidly. Our health is no exception. Illnesses and diseases have the potential to transform the way we lead our lives in an instant. This is especially the case for health disorders that arise as a result of our diet. “Fatty liver disease”, for example, is a disorder that is affecting an ever-increasing number of people, including children. So, what is fatty liver disease? And how can it be a danger to us? Fat is a natural source of energy for our bodies. Whenever we go without food for any amount of time, our bodies will use our fat stores as a source of energy. Our bodies store fat in two main places: one place is the abdomen or stomach area, and the other, larger source is within the liver. For this reason, it could be said that the largest source of energy in our body is within the liver. However, when we accumulate too much fat in the liver, it can lead to fatty liver disease, a condition which subsequently has the potential to cause numerous other health issues throughout the body. How dangerous is fatty liver disease? If someone is suffering from fatty liver disease – meaning that fat has accumulated within the liver cells over an extended period of time – it can cause inflammation of the liver. This, in turn, can then lead to multiple other health complications that affect various other bodily functions, particularly with regard to any chronic health conditions that may already be present, such as diabetes, liver inflammation as a result of viral infections, obesity, high blood fat levels, high blood pressure and coronary artery disease. Over a long period of time, liver inflammation will lead to the destruction of liver cells and a membrane forming in their place, which will eventually result in liver cirrhosis and a severely increased risk of developing liver cancer. Causes attributed to alcohol consumption: The severity of such causes can be assessed by looking at the patient’s history of alcohol consumption in terms of amount consumed and length of time of consumption. 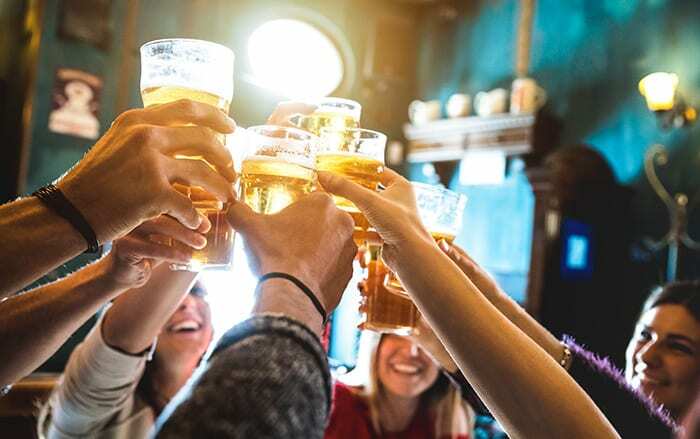 Causes not attributed to alcohol consumption: It has been found that this group tends to develop fatty liver disease as a result of the body’s resistance to insulin, which leads to an accumulation of fat in the liver. To put it simply, these causes are related to health disorders associated with an over-reliance on the body’s energy stores, such as obesity, diabetes, high blood pressure, high blood fat levels and hepatitis C. The most alarming thing about this group of causes is that the patients are often completely unaware of what is happening to their livers. As a result, no attention is paid to liver health until the condition is spotted by chance during a health checkup. Symptoms of fatty liver disease are what make it such a frightening condition, as during its early stages there are often no signs whatsoever. The disease’s symptoms are usually quite difficult to spot, for instance, exhaustion, slight nausea and a tightness in the area underneath the lower right-hand side of the ribcage where the liver is located. Fatty liver is a disease which takes time to develop, often building up for more than one or two years before it reaches a dangerous level. Usually, the condition is only discovered during a routine, annual blood test or when attending a doctor’s appointment to treat a different condition. In some cases, as identification of the condition begins, liver cirrhosis often has already taken hold. How can we lower our chances of developing fatty liver disease? The easiest thing to do is to make lifestyle adjustments to control your weight, for example, by exercising regularly and regulating your diet. In this respect, you should ensure that you eat food which is good for your health, paying particular attention to reduce your intake of fat and increase your consumption of fiber. Additionally, reduce or give up alcohol altogether, as this is a major factor behind the liver’s increased workload. Also avoid taking unnecessary medication or dietary supplements. Although fatty liver disease is not as fearsome a disease as cancer, the liver is a vital organ for our body, as it helps filter out toxic substances and carries out many other key bodily functions. If we neglect to care for our liver, it can quickly result in numerous other health disorders coming knocking at our door. Fatty Liver Disease: A Dangerous Health Disorder No One Can Afford to Overlook If someone is suffering from fatty liver disease – meaning that fat has accumulated within the liver cells over an extended period of time – it can cause inflammation of the liver.